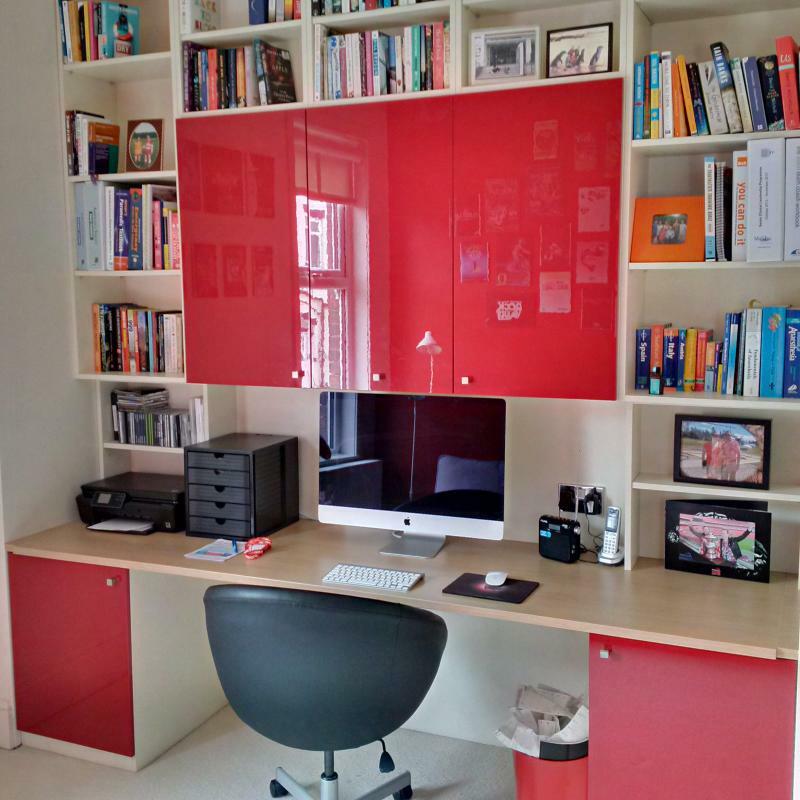 This snapshot never made it to the main Gallery but its a nice little example of what can be done in a niche to create an effective cheerful little home office space with some useful storage for books. The printer and hob are located within the base cupboards. The product used was Crown Lifestyle.